A Northwich business has praised the people of the town and the community spirit amongst retailers after their store was named as the winner of the Best Dressed Business competition. 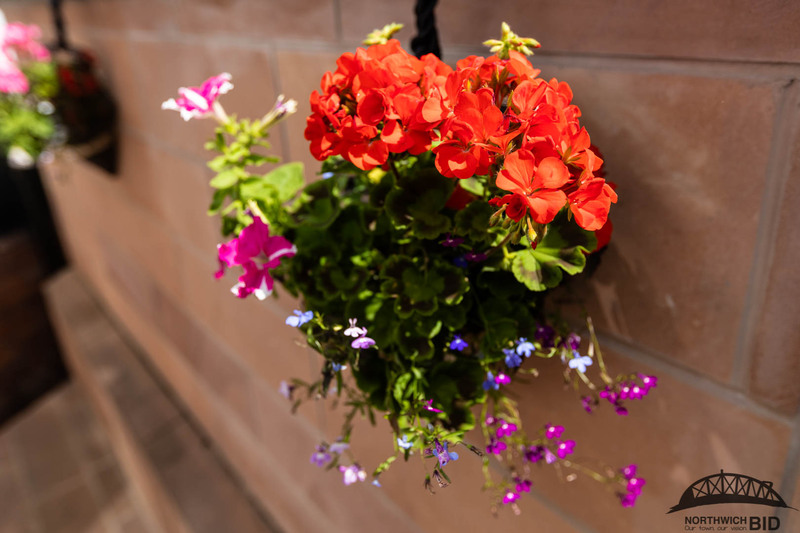 It was run in conjunction with the town’s entry into RHS North West in Bloom and saw a range of Northwich’s retailers decorating shop fronts, gardens, bars and shopping areas to catch the eye of visitors. Mother and daughter team Joan and Louise, who run Crafty Stitches, were delighted when the results of the poll were announced via the Visit Northwich Facebook page. Bella Boutique came in second place, while Nigel Bailey Hair followed in third. 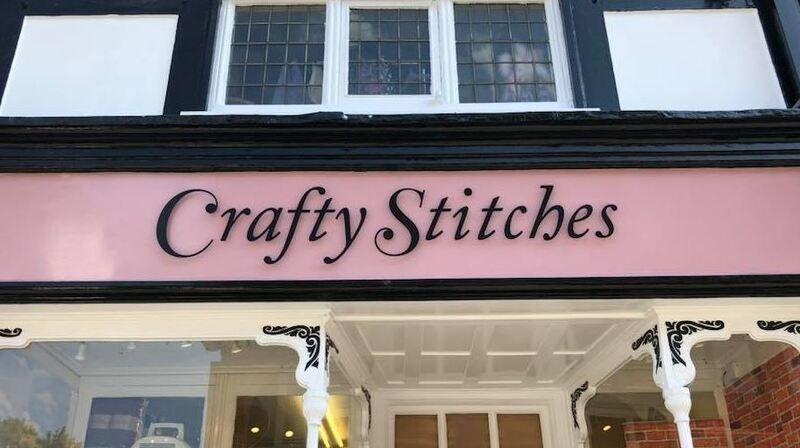 Commenting on Crafty Stitches’ success, Louise said: “Winning the competition has highlighted what wonderful people we have in the town – from those who voted for us, to those who helped to make our display. We have seen such love for our little shop this summer and it’s been fantastic. Louise also praised the community spirit between different traders in the town and revealed that they all support and praise each other, which helps create a great atmosphere. “We have such a great community spirit between the businesses in town, we’ve always helped and praised each other. So when something like this competition comes along, although we’re all competitive and want to win, we appreciate the hard work going on behind the scenes to make a beautiful display. 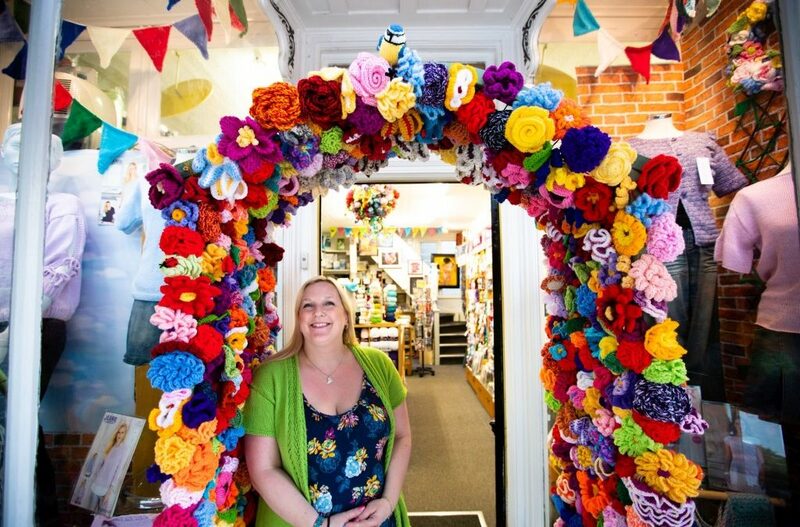 The summer of 2018 has been a very positive one for Crafty Stitches so far with their competition display drawing a lot of interest, and attentions are also starting to turn to how their unique knitted flower arch can be further put to use. “Our flower arch has attracted so much attention this summer, we’ve had lots of people just pop their head in to say how wonderful it is and to take photos. It’s had such an amazing response, that we’ve been overwhelmed with how much it’s brightened up the summer shoppers. It’s even been used at a wedding as a photo booth! Keep up-to-date with the latest developments from Crafty Stitches on their Facebook page.